Dental professionals recommend avoiding any sugary snacks because sugar feeds the bacteria in the mouth and causes cavities. If you have any questions about which snacks are appropriate and which aren’t, or if you would like to book an appointment at Thunderbird Dental Group in Langley to learn more about preventing cavities, please click here. 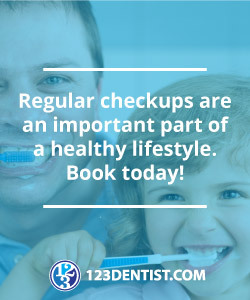 Subscribe to Thunderbird Dental Group’s blog for more dental secrets and contact us today to take care of your oral health care. We’re social, too! Follow us on Facebook, Twitter and YouTube.